Two non-Bollywood EPs this time. I must admit I know nothing about the Bengali (Tollywood) production 'Harano-Prapti-Niruddesh', nor its music director Mrinal Banerjee. I think it might have been the cover art that appealed to me when I came across the record... I'm happy to say then that I find it delightful through and through. 'Jar Nijer Pockete Nei Paisha' has become a particular favourite of late. A wonderfully compelling song with a unique sound; part Hawaii, part Brazil, kind of folky, deliciously poppy (imagine an Indian Jonathan Richman perhaps) with a great 60s beat; fantastic stuff. 'Chokh Mukh Hashi Taar' has much of the same chirpy vibe, and 'Halaph Kore Bolte Pari' is cool lounge-type song, oddly reminiscent of 'Teddy Bear's Picnic'. (That might be just me though.) 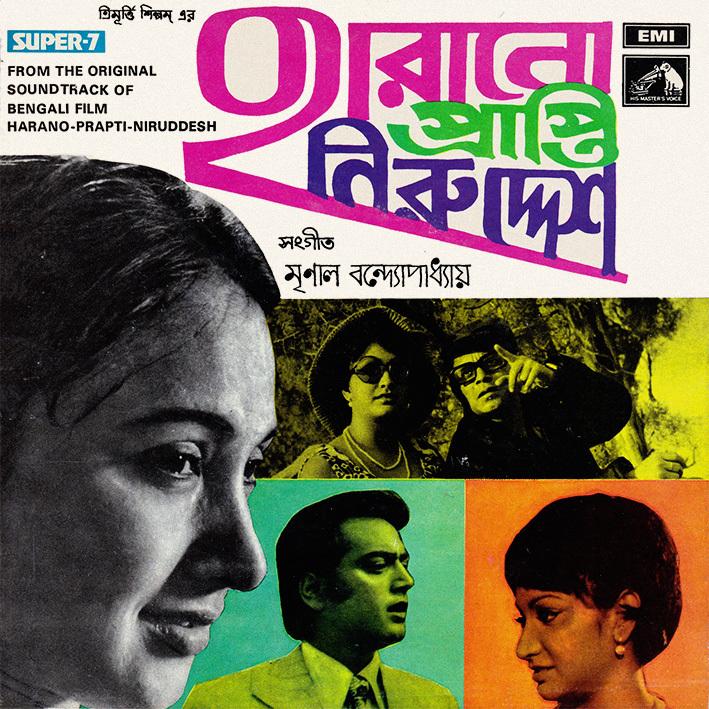 The remaining tracks are slightly more traditional; 'O Pakhi, Pakhi O Pakhi' being especially lovely. I've dabbled in Illaiyaraaja previously (I fear further exploration might result in an obsession), and the two scores by him posted have been Hindi dubs/remakes of Tamil films. Both are highly recommended. 'Meendum Kokila' is a Kollywood original; its songs imbued with the same wonderful sound that characterizes his Bollywood efforts. Synths, light orchestrations, quirky instrumental details and superb melodies combine on these tracks; 'Ponnana Meni' and 'Hai Ooraayiram' upbeat and poppy, 'Radha Radha' low key and beautiful.